Stewart Ramsey has been President/CEO of Pen Air Federal Credit Union, a $1.3 billion credit union located in Pensacola, FL, since July 2012. Mr. Ramsey started his credit union career at Blackhawk Community Credit Union (Janesville, WI) in 2001 as Chief Financial Officer, and was promoted to President/CEO in 2004. He accepted the position of President/CEO of Fort Campbell Federal Credit Union (Clarksville, TN) in 2007, which he held until transitioning to his current position. Prior to entering the credit union industry, Mr. Ramsey worked for Arthur Young and two promotional products companies. He received his Bachelor of Business Administration degree from the University of Wisconsin – Whitewater and received his Certified Public Accountant license from the Wisconsin Board of Accountancy. He is also a graduate of the CUES CEO Institute. 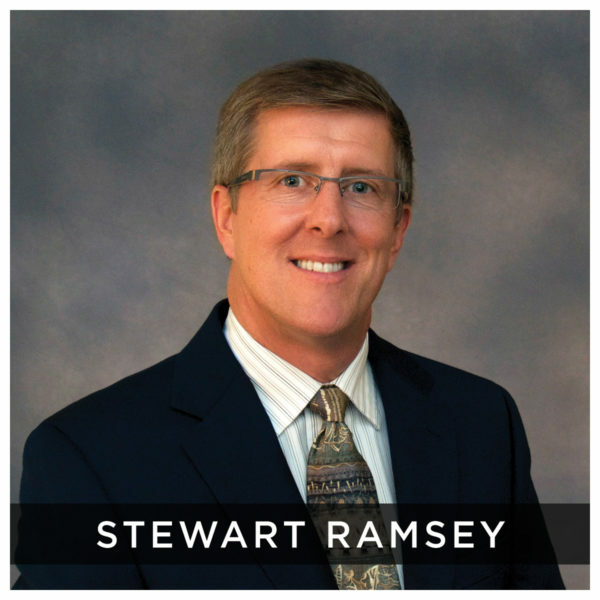 Mr. Ramsey has served on numerous boards and committees for non-profit, church, credit union, and community organizations. Currently, he serves on the boards of the Northwest Chapter of the League of Southeastern Credit Unions, Leverage (the LSCU Service Corporation) and CUES. He resides in the Pensacola area with his wife, Lonna; they have four children: Adam, Ben, Anna and Hope.